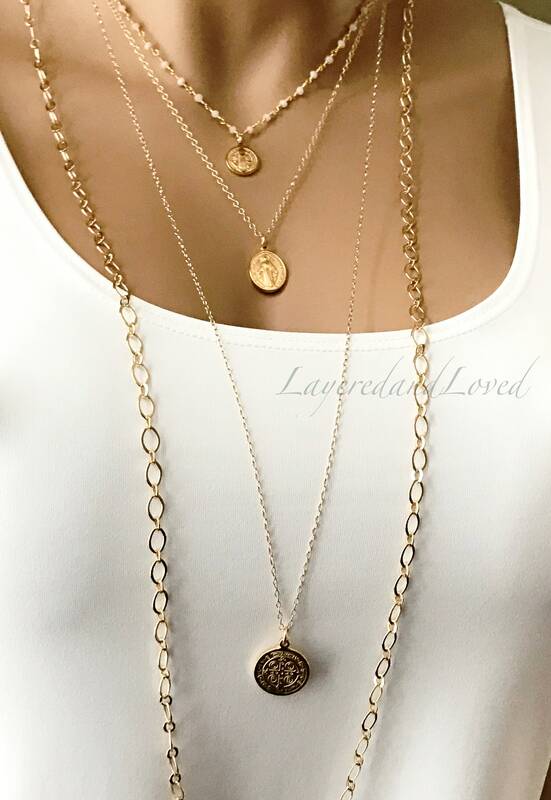 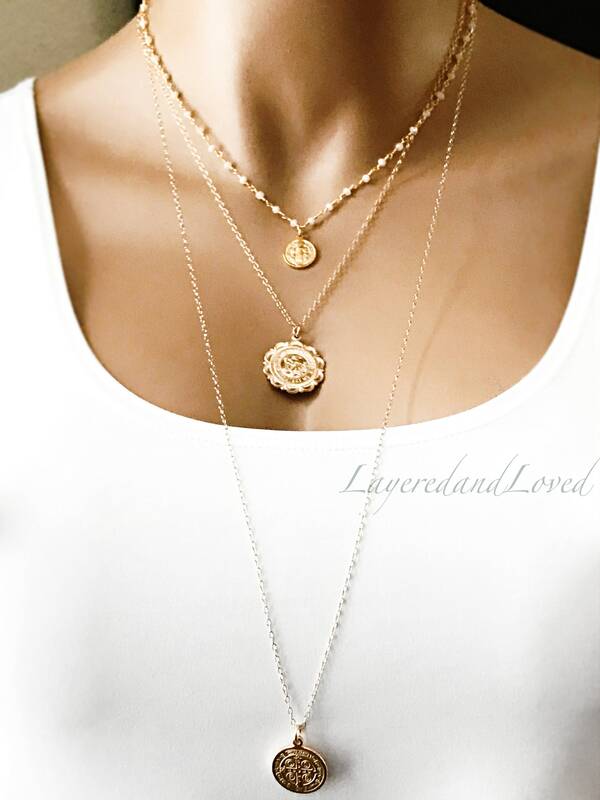 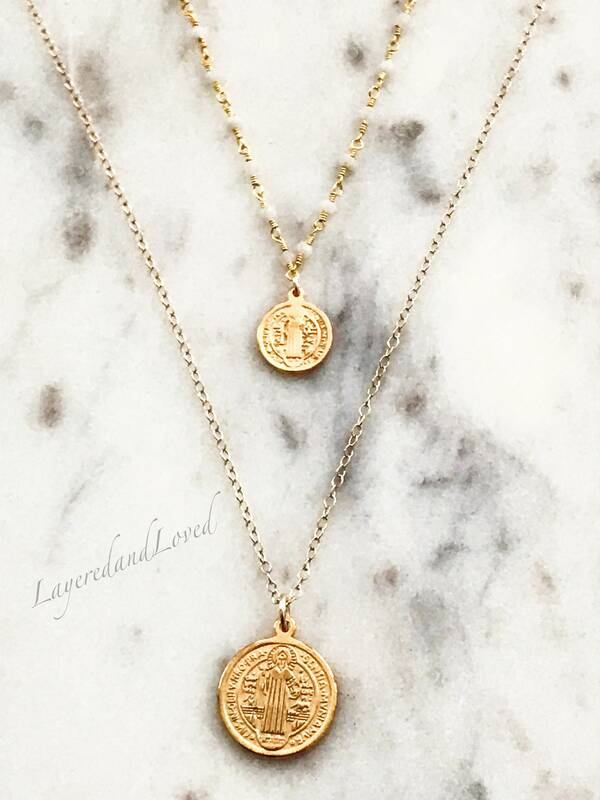 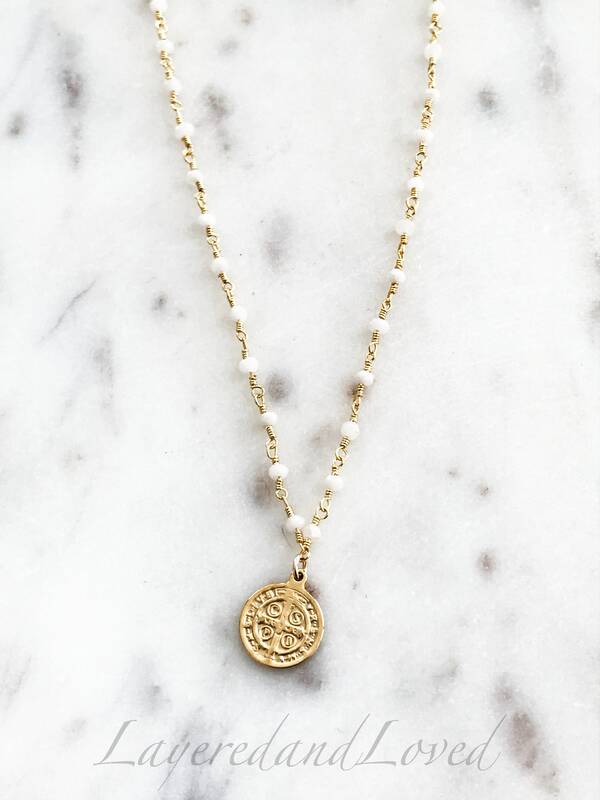 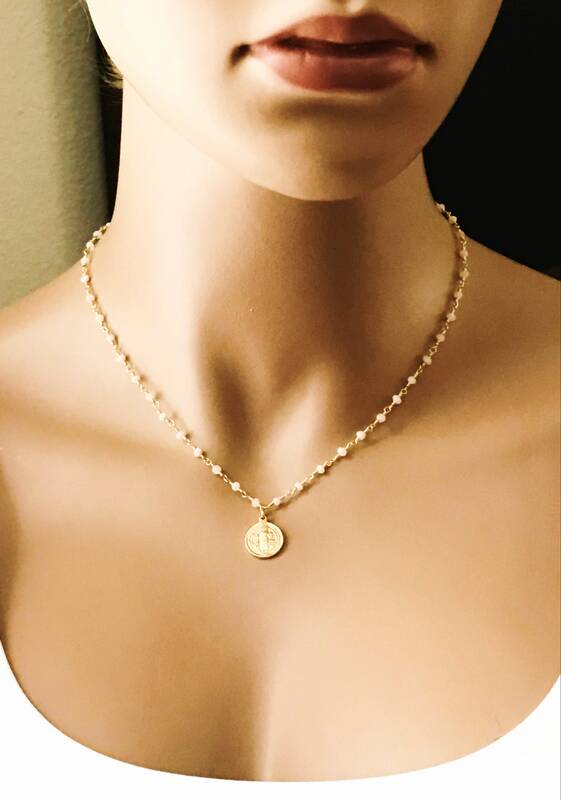 ♥ - Wonderful gemstone chain gold Saint coin necklace. 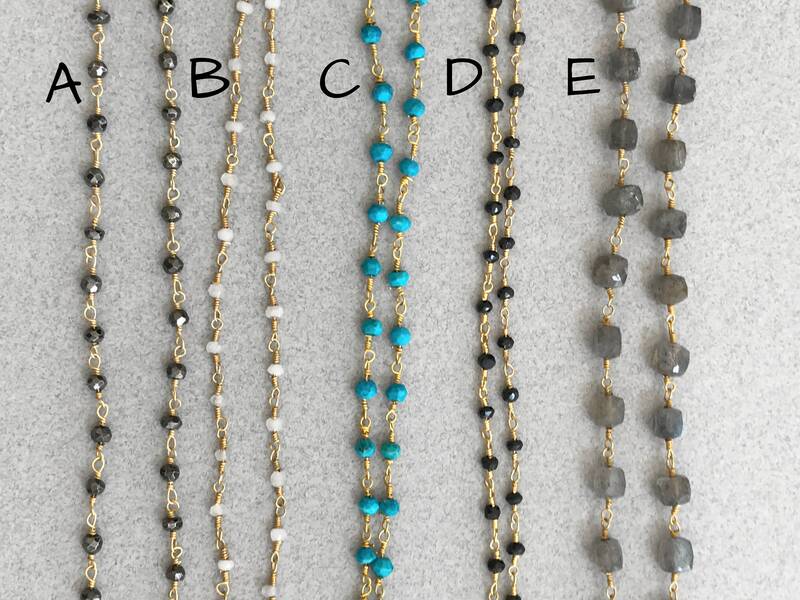 Your necklace will be made with a one inch extension and finished with a dangling 14k gold filled bead. 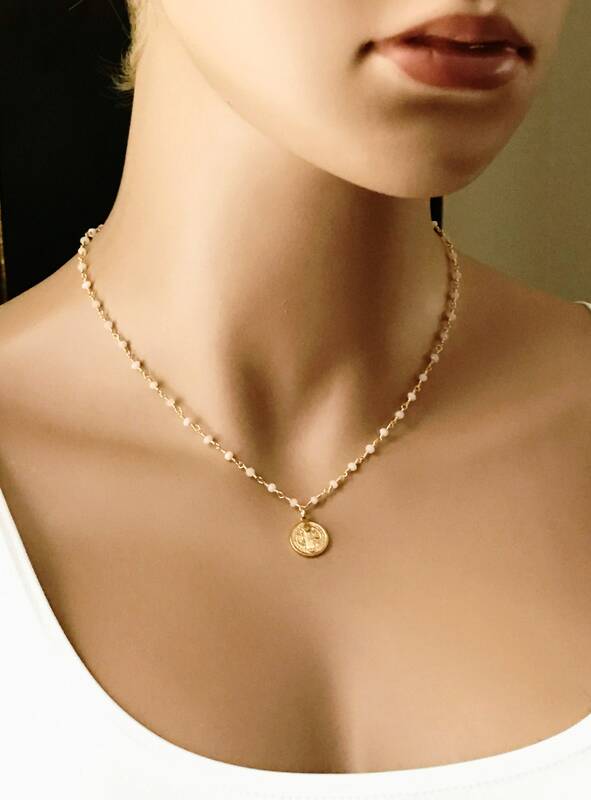 Length on the mannequin is 16". 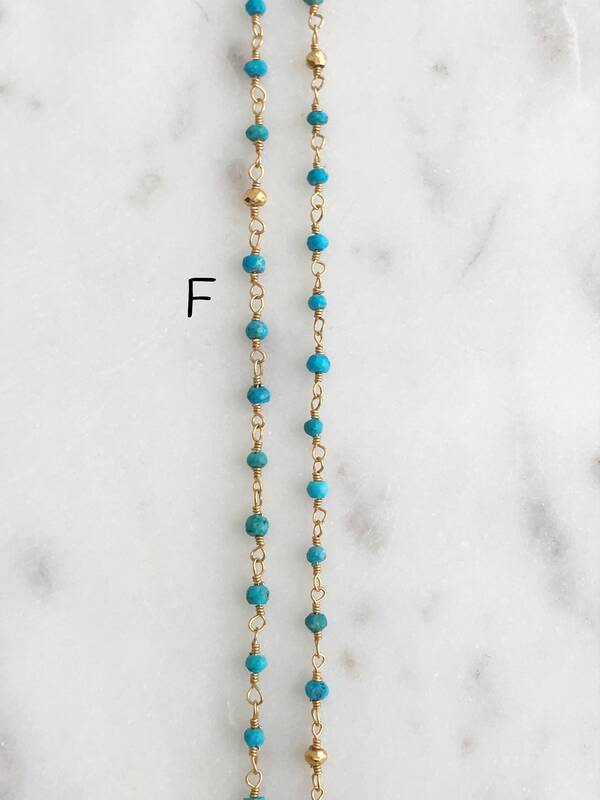 ~ This item will be shipped to you in a gift box and tied with a nice bow.